Singapore Tax Workbook 2015/16 (18th Edition) launching soon! Replete with the Association of Chartered Certified Accountants’ (ACCA) taxation examination questions and model answers, the Wolters Kluwer Singapore Tax Workbook is an indispensable reference for students preparing for taxation examinations. The latest edition of Singapore tax students’ favourite textbook will be available for purchase on 25 March 2015! The Singapore Tax Workbook is a practical guide to Singapore tax specially written for professional taxation examination candidates, undergraduate and post-graduate students, as well as tax professionals. convenient topic locators in the form of a Case Table, a Section Finding List and a Topical Index. In fact, the quality of the content is such that even professionals use it as a quick reference guide to Singapore tax legislation and practice. 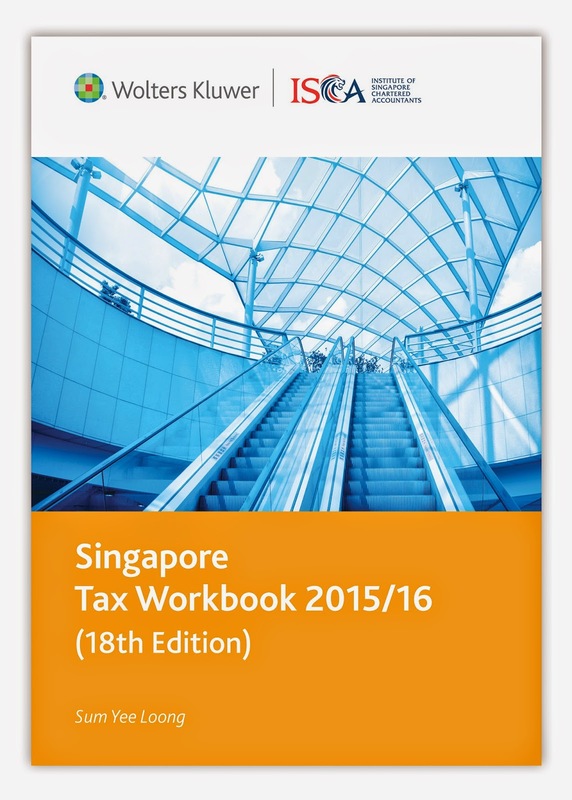 This latest edition, Singapore Tax Workbook 2015/16 (18th Edition) includes all the relevant legislative and administrative changes since the previous edition, including the intervening amendments to the Income Tax Act, Economic Expansion Incentives (Relief from Income Tax) Act, Goods and Services Tax Act and administrative developments up to 23 February 2015. Orders are already pouring in, have you sent yours in? If not, don't miss out, order your Singapore Tax Workbook 2015/16 now! To order, existing customers can contact your regular Account Manager. New customers can visit our online store.